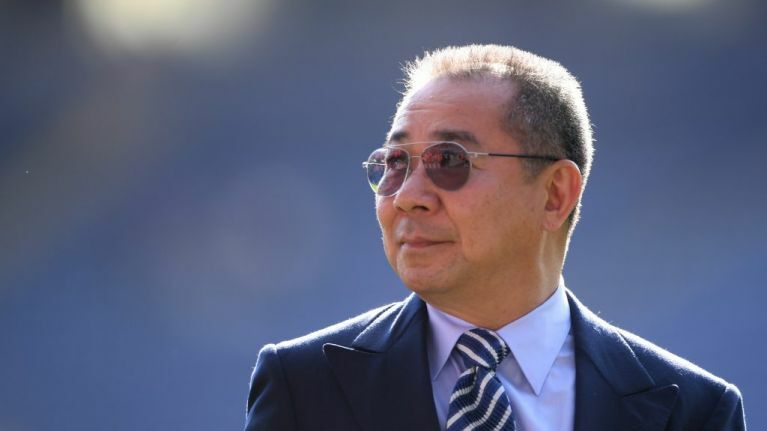 Leicester City Football Club confirmed on Sunday that its owner Vichai Srivaddhanaprabha has died after the helicopter he was travelling in crashed into the car park of the club's King Power Stadium on Saturday evening. In a statement on Twitter, the club said: "It is with the deepest regret and a collective broken heart that we confirm our Chairman, Vichai Srivaddhanaprabha, was among those to have tragically lost their lives on Saturday evening when a helicopter carrying him and four other people crashed outside the King Power Stadium. None of the five people on-board survived. The 60-year-old businessman was leaving the stadium after Leicester's 1-1 draw with West Ham via helicopter - as he did after every home game - when it began spinning before falling to the ground. It has been reported that his daughter was also in the helicopter at the time of the crash, as well as two pilots and an as yet unidentified fifth person. Srivaddhanaprabha made his fortune after founding King Power Duty Free, and was ranked by Forbes as the seventh richest man in Thailand. He purchased Leicester City in 2010 after a three-year spell in which King Power was the club's principal sponsor. Srivaddhanaprabha's time as owner and chairman of the Foxes will be remembered as the most successful in the club's history. A Championship side when he took over, his ownership has seen them become a mainstay in the Premier League and a hugely supported team in his native Thailand, aided by the club's momentous and unexpected triumph in the 2015/16 Premier League title race. That success, one masterminded by former manager Claudio Ranieri, saw Srivaddhanaprabha become an icon in the city. Outside of the club's stadium on Sunday, fans told JOE just how much he meant to the supporters, the club and the city itself.